In illustration of the character of this estimable woman, we must be permitted to transcribe a few remarks on her ancestry, written by her son, the Hon. John Quincy Adams. Abigail Adams was the daughter of William Smith, a minister of a Congregational church at Weymouth, in the colony of Massachusetts Bay; and of Elizabeth Quincy, a daughter of Col. John Quincy, the proprietor of Mount Wollaston. This beautiful spot, about seven miles from Boston, was settled by Thomas Wollaston and thirty of his associates in 1625, five years before that of the Massachusetts Colony. This settlement was broken up by Governor Winthrop, in the summer of 1630, shortly after his landing; and in 1634 was made part of Boston, and the land granted to William Coddington. This estate descended in a direct line till it became the property of William Smith, the father of Abigail Adams, and has been the residence and birthplace of the Adams family to the present day. Abigail Adams, the second daughter of William and Elizabeth Smith, was born on the 11th day of November, 1744. Her father, grandfather, and great-grandfather had all received their education at Harvard College. From this line of ancestry, it may justly be inferred that the family associations of Abigail Smith were from her infancy among those whose habits, feelings, and tastes are marked by the love and cultivation of literature and learning. The only learned profession in the first century of the settlement of New England was that of the clergy. At that time, lawyers were but little esteemed. Science was scarcely better cultivated by the practitioners of the medical art; but religion was esteemed among the most important of worldly concerns, and the controversial spirit with which it was taught, and which was at once the cause and effect of the Protestant Reformation, stimulated the thirst for learning, and sharpened the appetite for study and research. "The founders of New England, and the settlers of Massachusetts Colony so well understood the dependence of practical morals upon religious principle, that, no sooner had they raised their sheds and piled their log-houses, before their thoughts turned to the erection of the edifice which should serve them and their children for the habitation of the mind. In 1638, John Harvard, himself one of the most distinguished of their ministers, bequeathed a sum of money for the establishment of a college for the education of ministers of the Gospel. This institution was soon raised and made, by the constitution of the commonwealth of Massachusetts, a university, bearing the name of its founder in glory from age to age, down to the extinction of time." At this time the Puritan fathers of New England considered female education to consist in the happy arrangement of their domestic concerns. The three daughters of Mr. Smith were therefore educated under his own roof, partly by his own instruction, with the occasional assistance of a teacher residing in the same colony. It has often been remarked that Mr. Smith and his family would have furnished ample materials for another Vicar of Wakefield. Mr. John Adams, an attorney-at-law residing in Braintree, became the admirer of Abigail Smith; but it was some time before the consent of her father could be obtained, he, as a strict Puritan, having conscientious scruples as to the honesty of the profession. At last, however, he consented, and they were married on the 25th of October, 1764, Miss Smith being in her twentieth year. Mr. Adams had been in the practice of the law about seven years before his marriage, and had made great advancement in his profession both as an orator and by his judicial talents. The first year after his marriage he gave a fortunate stamp to his brilliant talents as counsel for an American seaman, who, in self-defence against a pressgang from his Majesty's ship in Boston Harbor, had killed the lieutenant of their party with the stroke of a harpoon. Mr. Adams proved that the usage of impressment had never extended to the colonies; and that the attempt to impress was unlawful; that the act of killing was justifiable homicide; the seaman was acquitted and discharged. This thrilling and talented address to the court, which lasted four hours, was considered of such importance that it was copied into the London newspapers, and received an extended circulation in the mother country; and, by the exertions of the young lawyer of Braintree, that brand of harsh servitude, stamped on the forehead of the British seaman, was banished from the code of colonial law. have a bring Miss White with you – I will send the chaise by one o'clock…." The year 1765 will ever be remembered as the period when the most violent fermentation commenced, occasioned by the resistance of the people to the Stamp Act. Mr. Adams was the first who showed a determination of resistance, and often did he endeavor to prepare his young bride for the trials and sacrifices which he foresaw must occur, before his beloved country could be free from the monarchical shackles by which she was bound. For nearly ten years, Mr. Adams continued his practice of the law, with increasing reputation, till 1774, when he was called to the first Congress at Philadelphia. Mrs. Adams remained at Braintree with her children. In 1775, was the first deadly conflict. This took place at Lexington. Mr. Adams had left his home some days before, and his partner and her children were left exposed to continual dangers, and, as orders had been given to seize and imprison the members of the Continental Congress, Mrs. Adams expected hourly that her dwelling would be visited in search for her husband, and that she might be exposed to insult. She immediately packed the library of her husband, and the most valuable part of her furniture, and had it removed to a place of safety. In the autumn of 1775, and during the absence of her husband, Mrs. Adams was called to pass through a severe affliction. An epidemic dysentery was raging; every member of her family was afflicted by it; and her mother, a brother of her husband, and a domestic in her family, were among its victims. In 1778, Mr. Adams was appointed a joint commissioner with Dr. Franklin at the court of France, and required to prepare for a hasty departure; but Mrs. Adams, having at this time four children, concluded to remain at Braintree with the then youngest&#151 Mr. Adams taking with him his eldest son John Quincy, then about eleven years of age. Mr. Adams remained in France but one year, when he returned to the bosom of his family; but this happiness was to be but of short duration, for he had no sooner returned than he was commissioned to negotiate a peace with Great Britain. Mrs. Adams again remained at home, and Mr. Adams took with him to England his two eldest sons John Quincy and Charles. In May, 1784, Mrs. Adams left Boston with her only daughter to join her husband, who on their arrival repaired with them to France, and took up their residence at the beautiful village of Auteuil. Here they resided rather more than a year, when Mr. Adams was commissioned as minister plenipotentiary to Great Britain. Mrs. Adams accompanied her husband and family to London, where they resided three years; and in 1778 she bid adieu to the turmoil of foreign courts to return to that country which was the joy of her heart. During the four years Mrs. Adams spent in England and France, she was a minute observer of persons and things, and seldom allowed any event, however trifling, to escape her notes. Her letters to her friends, giving descriptions of passing scenes, were very interesting, and would even at this distant period be read with interest. Many of them which appeared at that time were copied into the London and Paris journals, and commented on with general admiration. In 1789, the government of the United States was organized, and Mr. Adams was elected the first Vice-President. The first Congress met in New York, where Mrs. Adams removed her family; but, after remaining there one year, it was removed to Philadelphia, where Mrs. Adams resided for nearly ten years. In 1797, Mr. Adams was elected President of the United States, the Congress still meeting in Philadelphia; but, during the first two years of his administration, it was removed to Washington, and Mrs. Adams with her family took up their residence there for the remainder of the term. ADAMS, Abigail (Smith), wife of John Adams, second president of the United States, born in Weymouth, Massachusetts, 23 Nov., 1744; died in Quincy, Massachusetts, 28 Oct., 1818. Her father, the Rev. William Smith, was for more than forty years minister of the Congregational church in Weymouth. Her mother, Elizabeth Quincy, was great-great-grand-daughter of the eminent Puritan divine, Thomas Shepard, of Cambridge, and great-grandniece of the Rev. John Norton, of Boston. She was among the most remarkable women of the revolutionary period. Her education, so far as books were concerned, was but scanty. Of delicate and nervous organization, she was so frequently ill during childhood and youth that she was never sent to any school; but her loss in this respect was not so great as might appear; for, while the New England clergymen at that time were usually men of great learning, the education of their daughters seldom went further than writing or arithmetic, with now and then a smattering of what passed current as music. In the course of her long life she became extensively acquainted with the best English literature, and she wrote in a terse, vigorous, and often elegant style. Her case may well be cited by those who protest against the exaggerated value commonly ascribed to the routine of a school education. Her early years were spent in seclusion, but among people of learning and political sagacity. On 25 Oct., 1764, she was married to John Adams, then a young lawyer practicing in Boston, and for the next ten years her life was quiet and happy, though she shared the intense interest of her husband in the fierce disputes that were so soon to culminate in war. During this period she became the mother of a daughter and three sons. Ten years of doubt and anxiety followed during which Mrs. Adams was left at home in Braintree, while her husband was absent, first as a delegate to the continental congress, afterward on diplomatic business in Europe. In the zeal and determination with which John Adams urged on the declaration of independence he was staunchly supported by his brave wife, a circumstance that used sometimes to be jocosely alleged in explanation of his superiority in boldness to John Dickinson, the women of whose household were perpetually conjuring up visions of the headsman's block. In 1784 Mrs. Adams joined her husband in France, and early in the following year she accompanied him to London. With the recent loss of the American colonies rankling in the minds of George III and his queen, it was hardly to be expected that much courtesy would be shown to the first, minister from the United States or to his wife. Mrs. Adams was treated with rudeness, which she seems to have remembered vindictively. "Humiliation for Charlotte," she wrote some years later, "is no sorrow for me." 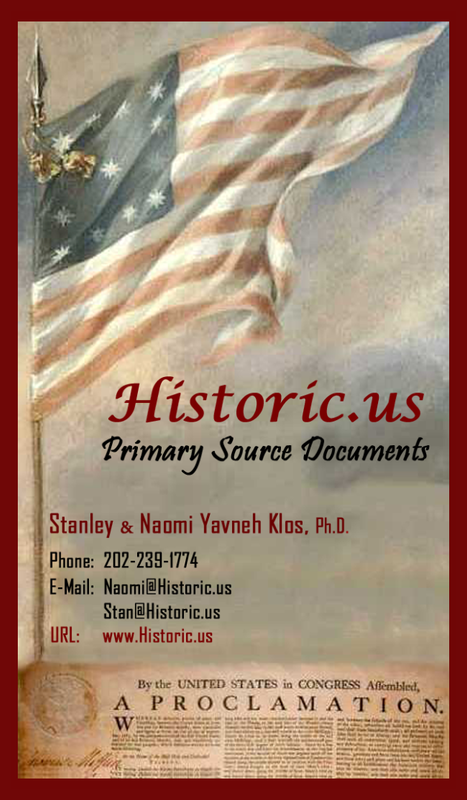 From 1789 to 1801 her residence was at the seat of our federal government. The remainder of her life was passed in Braintree (in the part called Quincy), and her lively interest in public affairs was kept up till the day of her death. 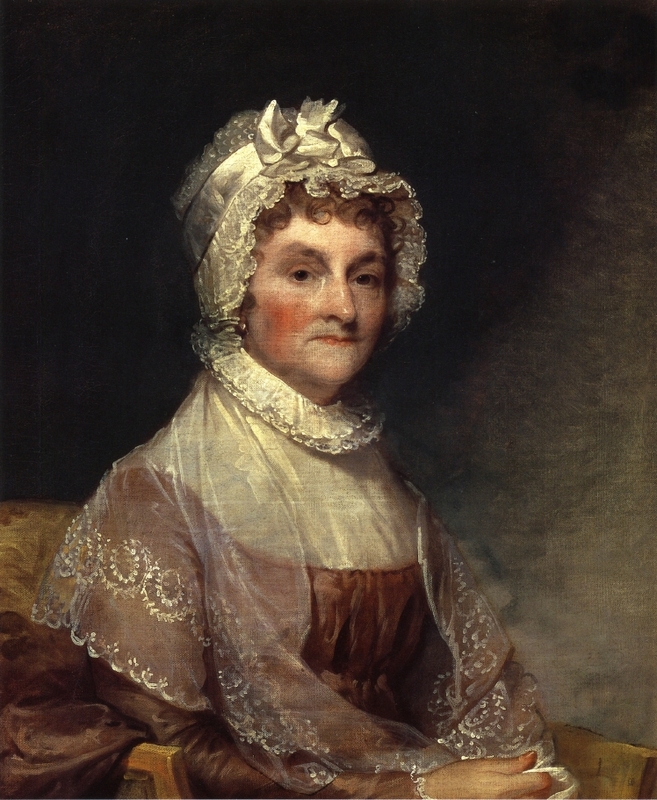 Mrs. Adams was a woman of sunny disposition, and great keenness and sagacity. Her letters are extremely valuable for the light they throw upon the life of the times. 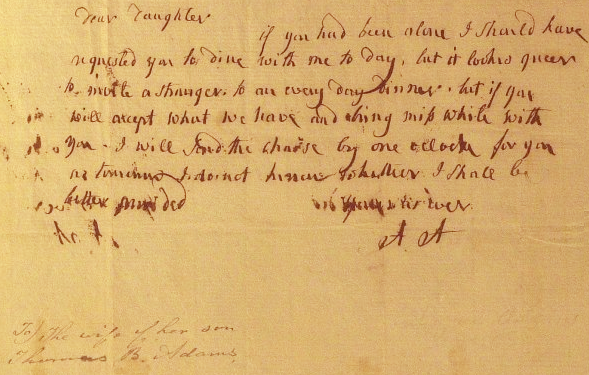 See "Familiar Letters of John Adams and his Wife, Abigail Adams, during the Revolution," with a memoir by C. F. Adams (New York, 1876).